In other words, smart speakers are no longer limited to techno-savvy geeks, but are achieving widespread adoption. Case in point – ME! I have a smart speaker in my own home. It lets me interact with my voice-activated personal assistant. I use this platform to do a variety of everyday things: check weather, do web searches, plan shopping trips, set alarms and timers, etc. For example, if I want to make dinner, I can ask my personal assistant to search the Internet for a recipe for meat loaf. The app does an Internet search, and 10 links to meat loaf recipes appear on the touch-screen of my tablet, which is mounted on the kitchen counter. But of course, the app doesn’t have these recipes stored in its memory chips. When I ask it for the information, the app’s AI system converts my verbal request into a digital signal and sends it to a server in a faraway data center. The server then returns a signal with the information and links to the recipes back to the app, which displays them on my tablet and gives me a vocal response over the smart speaker. Today’s consumers are demanding quick answers to their questions from their voice-activated personal assistants. They expect immediate responses from applications that control things like heating, lighting, kitchen appliances, TVs, and stereos in their homes. 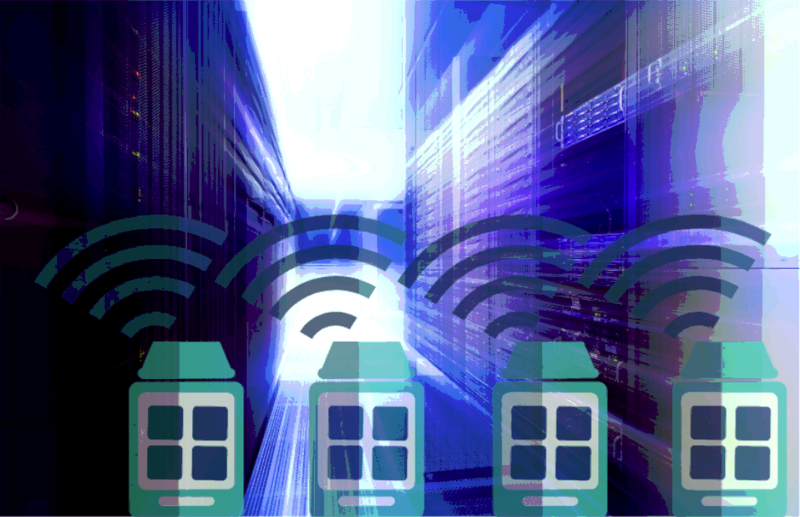 But how can infrastructure keep up with the ever-increasing voice-activated signal traffic between smart systems and data center servers? And how can we reduce latency to provide consumers with the instant responses they demand? Edge computing is part of the solution. It will help to manage the latency problem by optimizing data location and transference. By deploying edge data centers in local communities, appliance makers and content providers can shorten the distance between voice-activated smart speakers and the servers that serve them. This shortens the travel distance of data transmissions, which in turn reduces latency. Smart speakers and data assistant platforms can provide faster responses to customer requests, and execute home applications more smoothly. A key factor in using edge computing to provide faster “smart home” and IoT device service will be the ability to easily deploy edge data centers in any location. Modular data centers like the Baselayer Edge series and the new X2 module provide the solution. You can set up these prefabricated units in any indoor or outdoor environment, and scale them to any size, to bring edge computers closer to end users and devices. Which means I’ll not only get that meat loaf recipe quickly, but I’ll also receive a gentle reminder about the impact of the meat loaf on my cholesterol count, and the fact that I should be eating more fruit, delivered by the soothing and convincing voice of my personal data assistant. And it will all be enabled by edge data centers.